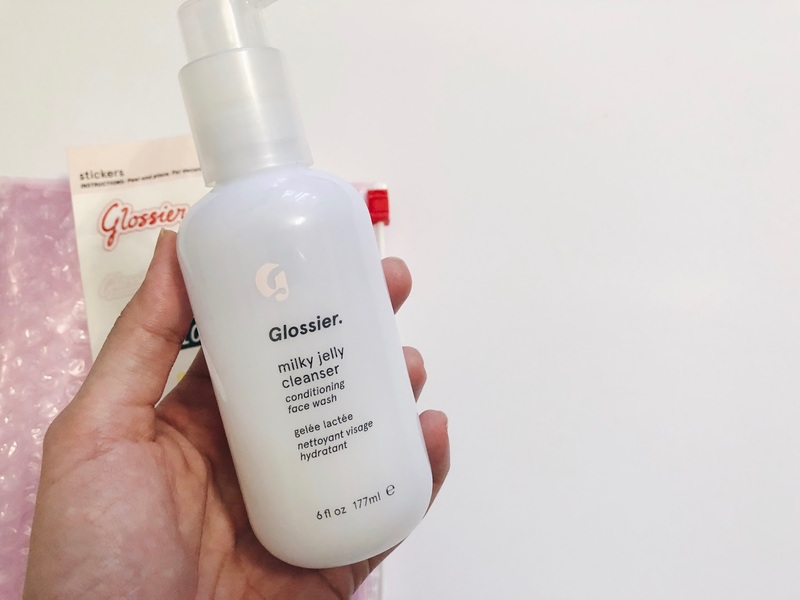 After using this Glossier Milky Jelly Cleanser for 4 weeks ++, I am ready to share my reviews! 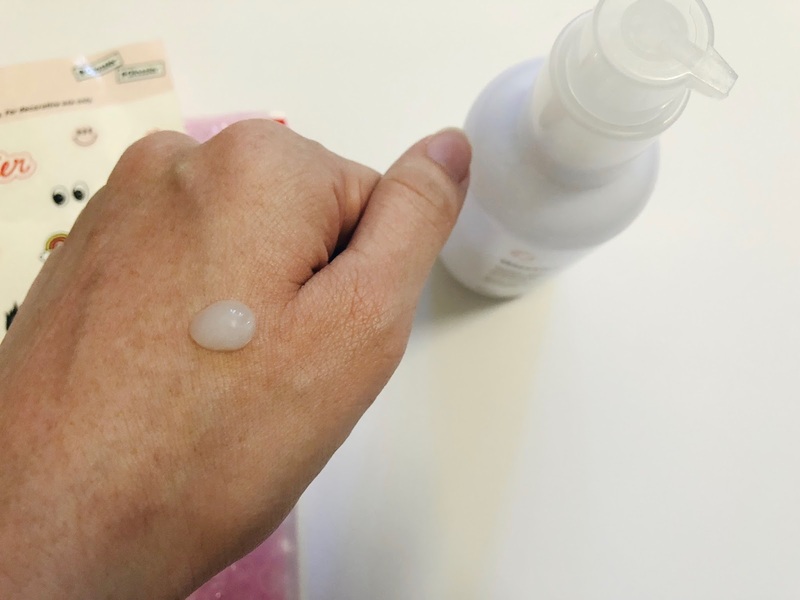 First of all, for those who are not familiar with Glossier, Glossier is from USA. 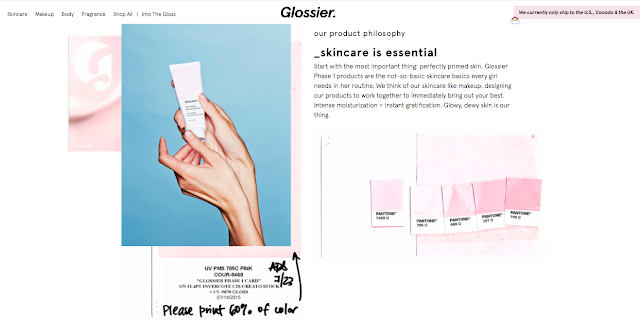 I am soooo in love with Glossier because of the identity. The signature pink shade, the minimal design, diverse women with dewy skin and minimal makeup. I feel like buying everything from Glossier. Yes, take my moneyyyyy! 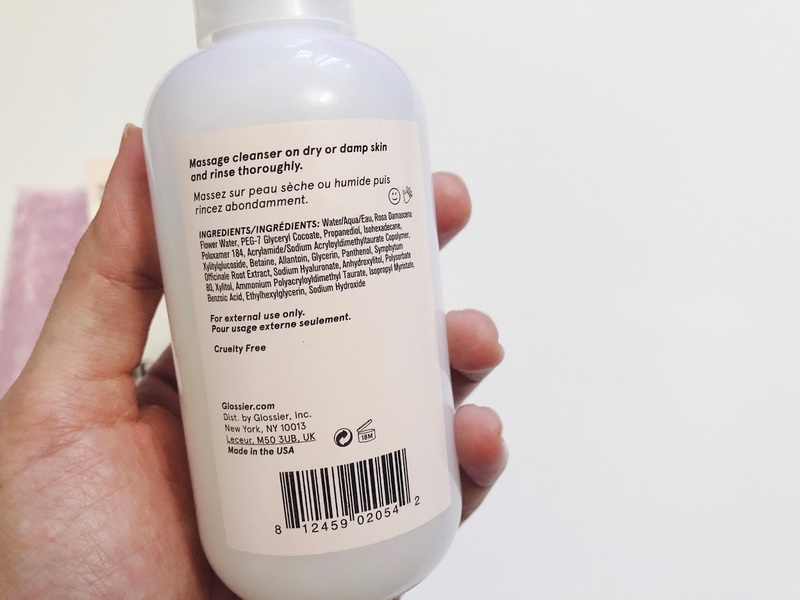 The first time I read about this cleanser, I know I need this. It is very gentle and low pH. It claims as a conditioning face wash and tak ada buih langsung. TAK ADA ok. It claims as "powerful" cleanser that isn't stripping or harsh on the skin. Basically, low pH cleanser is important to maintain our skin's moisture barrier. Supaya kulit tak ada banyak masalah. 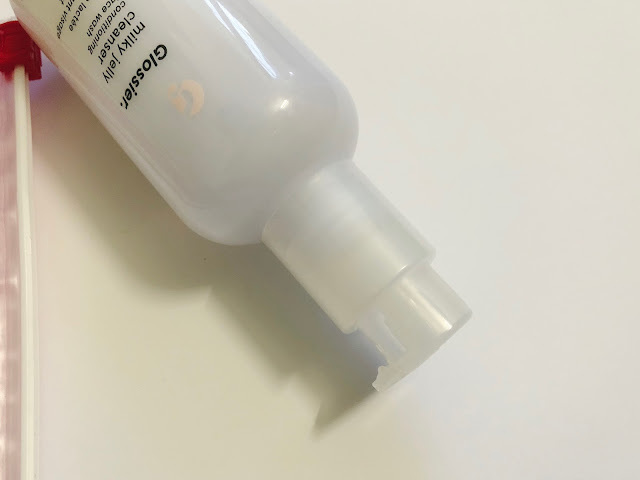 It comes in a 177ml semi-transparent white bottle with a pump that can be locked (yay for travelling, dia tak akan tumpah). The texture is white jelly-like, really thick that sometimes susah nak remove even dah bilas banyak kali. But I kinda like it, since memang dia tak keringkan kulit LANGSUNG! And I loooove the smell. It smells like lychee (tu hidung I lah yang cakap). Some people kata bau macam light chemical tapi I still rasa dia bau macam lychee yang manis manis bergula gitu. I like the smell and I really enjoyed using this sebab I suka bau and texture dia. 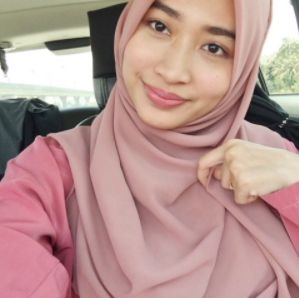 Rasa lembut je bila apply dekat kulit and tak ada buih langsung. LANGSUNG. Rasa macam apply gel je dekat kulit, lepastu bilas. Siap! I use this as my AM cleanser. Guna pagi je sebab dia really gentle. And since I have dry skin, this cleanser is like a perfect AM cleanser for me. Tak mengeringkan kulit. However, dekat website dia stated that this can remove your makeup bla bla bla. For me personally, tak. Kalau guna as first cleanser on dry skin with makeup on, dia tak remove sangat makeup and tak rasa bersih sangat pun. I don't like it. So I'll stick with this untuk guna masa pagi sahaja. Everyone. This is a gentle low pH cleanser that everyone will love!